It's 1814. Napoleon is exiled on Elba. Europe is in shambles. Britain is at war on four fronts. And Stranje House, a School for Unusual Girls, has become one of Regency England's dark little secrets. The daughters of the beau monde who don't fit high society's constrictive mold are banished to Stranje House to be reformed into marriageable young ladies. Or so their parents think. 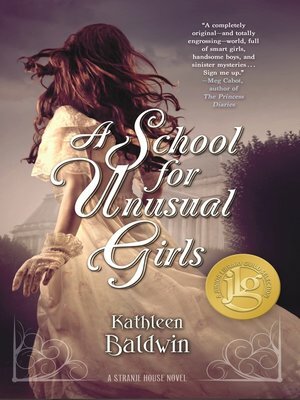 In truth, Headmistress Emma Stranje, the original unusual girl, has plans for the young ladies—plans that entangle the girls in the dangerous world of spies, diplomacy, and war.